GIVE YOUR ENTIRE ORGANIZATION access to the information they need. Maximize your web-based HR investment with a fast, affordable and secure HR kiosk software solution from LIVEWIRE. 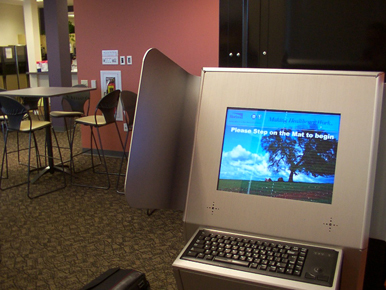 Allows users access to information in any environment—from the lunch room to the factory floor. Utilizes the latest in industrial-strength kiosk enclosures, software and security features. Provides access to existing HR portal sites and displays them within a web browser. Large navigation buttons provide users with quick and easy access to the information you want them to see. All other areas of the system are locked-down and completely secure.